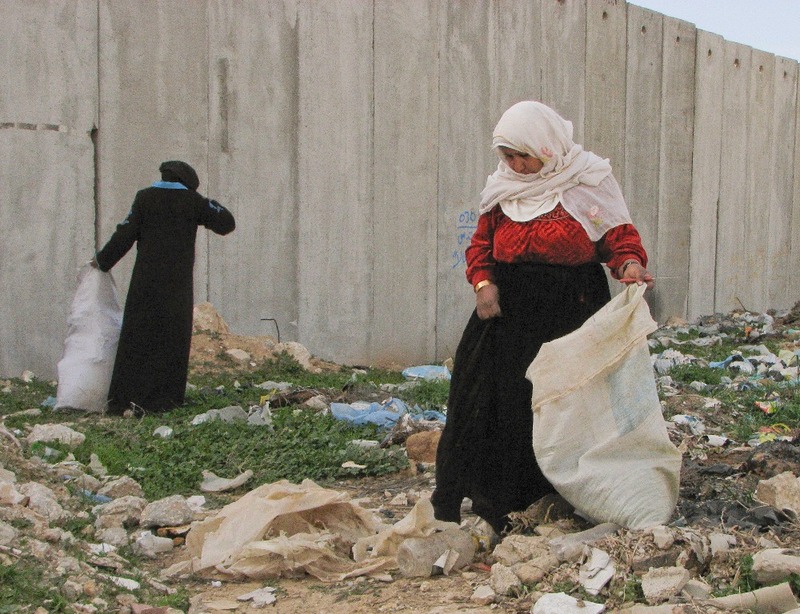 From my journal and letters, my dispatches from the field and now home in Cambridge Massachusetts, as I photograph internally expelled Palestinian refugees in the West Bank and Gaza (once I can enter Gaza), plus their ancestral homelands. Thanks to a dear friend, several years ago I met Linda Dittmar, an Israeli Jew who grew up during the Nakba and lives now in Cambridge. I’d heard that she was writing her memoir and it was in large part about the expulsion of the Palestinians and the destruction of their villages during and after the 1948 war. She partnered with a friend, Deborah Bright, a well-known photographer, who made images of the destroyed villages. Just the term “destroyed Arab villages” and the conjunction of Israeli Jew sparked my interest. Last summer we spoke and wrote and compared our projects. 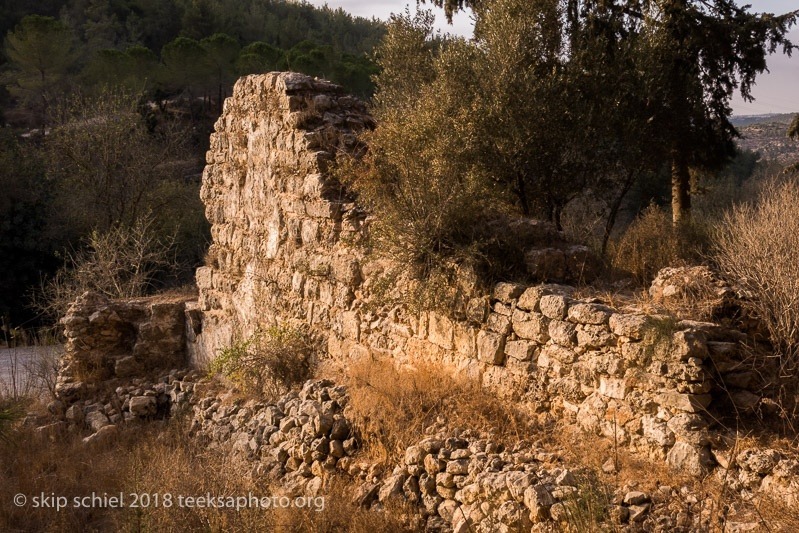 She’s provided me numerous leads and resources, such as the book, All That Remains: The Palestinian Villages Occupied and Depopulated by Israel in 1948, by Walid Khalidi which I thoroughly devoured as my project evolved. We now share our writing and my photography. I feel we are partners in our separate but deeply related undertakings She offers a Jewish Israeli perspective living thru the Nakba, the Palestinian expulsion, expressing her earliest and then more recent perspectives on what her country did to force Palestinians from their homelands. I am more distant, less directly involved. I bring understanding and expression of this same phenomenon. I feel we inspire each other, we are mutually supportive, we provide contrasting points of view. Separately we’ve both visited the site of the notorious massacre of Deir Yassin near Jerusalem. We’ve yet to compare our experiences but will. 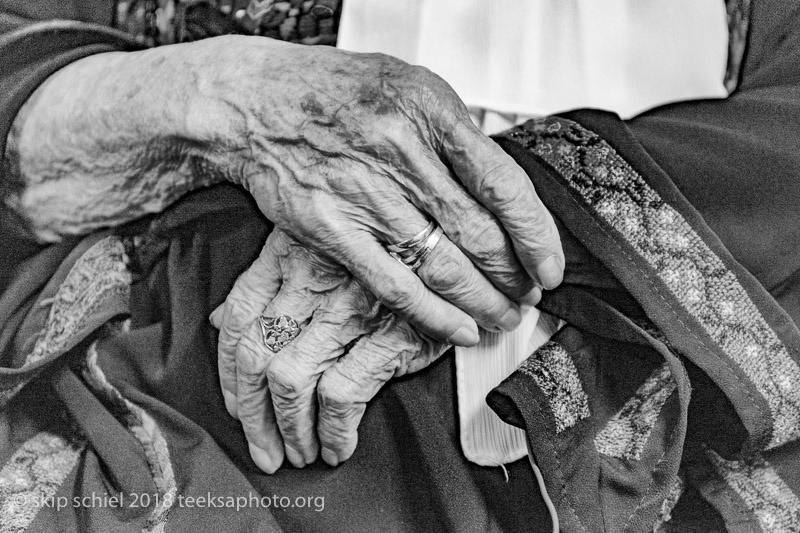 I can imagine returning with her to the entire region and visiting the sites of expulsion, hearing her describe her experiences, as I share mine. Her account is first person, as a young Israeli, including her period in the Israeli army, and mine is the third person observer, involved by being a United States’ citizen, complicit in the ongoing Nakba by my nation’s unwavering support of apartheid Israel. If she feels guilty, it is as an Israeli. I don’t feel guilty; I do accept responsibility because of my citizenship. I’ve arranged for her to speak at my Quaker meeting on March 17, 2019, Sunday, 1 PM. While this work continues to be extremely painful for me, it is an ethical and political necessity–an acknowledgement, apology, and reparation that we, Israelis, owe the Palestinians, along the lines of South Africa’s “Truth and Reconciliation” hearings and the Arab conciliation ceremony. “Sulkha.” Like others, I see acknowledgement as crucial to Israel’s survival, whatever form it take. From Johnny’s porch looking at the street I live on when in Detroit. Johnny Price, my neighbor and friend. Since 2010 I’ve photographed regularly in Detroit, Michigan, unsure until recently why I’ve been so drawn to this city. Initial reasons I thought of are the flat land and distinctive Midwestern accent (familiar from growing up in Chicago), a city in change (improving conditions in the largely white central core, persisting suffering in the remaining mostly black 80% of the city), a sense of entrapment (Detroiters restricted by poverty from moving out or significantly improving their conditions), neighboring Dearborn (where I visit and photographer regularly, the region[Metro Detroit] with the largest Arab-American population in the United States, sending the first Palestinian American to Congress in 2018; Palestinians were among the first Arabs to settle in Dearborn, drawn by the young automobile industry) and the water crisis (shutoffs in Detroit and poisoned water in nearby Flint—water has been a major theme for my photography). 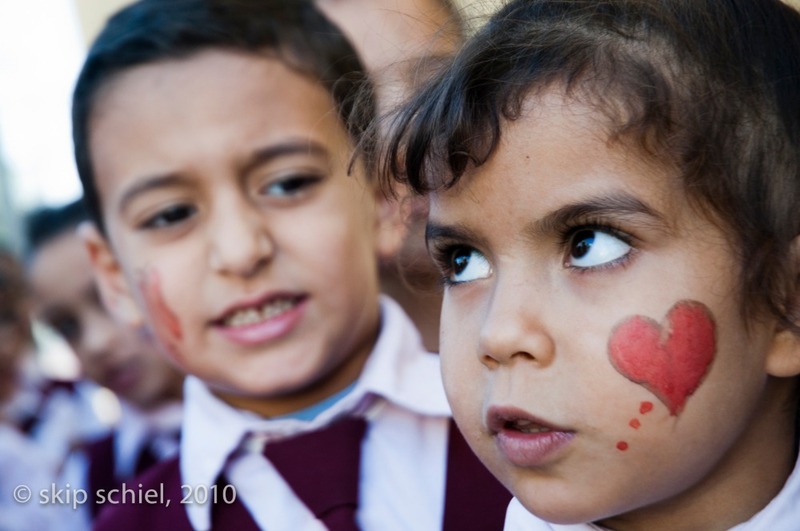 What might link Detroit and Palestine? I’ve asked myself. Is there any connection? Palestinians are highly restricted, in the West Bank by the Occupation, and in Gaza by the siege, unable to leave or re-enter. 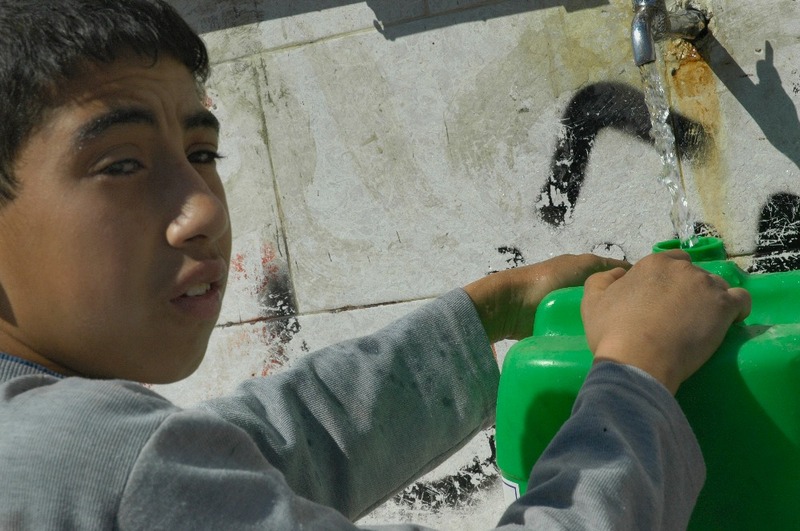 And by water injustice in Detroit and Palestine; Israel completely controls Palestinians’ water. However another connection occurred to me one year ago while I interviewed my African-American neighbor and good friend in Detroit , Johnny Price, about his—or our—neighborhood: I have finally come home. Come home to the Southside of Chicago, Detroit as Chicago. Finally, after my earlier years of self-exile, and then the curiosity of what actually living again on the Southside might feel like, here I am home again, if only periodically. In Detroit, as if in Chicago. Thru this process, this powerful experience of the heart, I gain some awareness of what return to homeland could mean for the expelled Palestinians and their families. 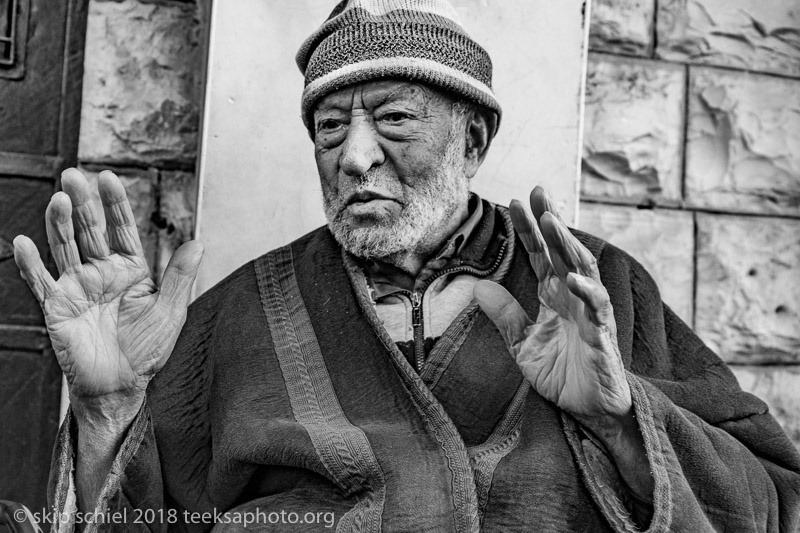 How they had been ripped from their villages, lost most of their possessions and all of their land, ended up as refugees, often unable to return home, usually without even photos of their families, longing, dreaming, maybe even hoping for justice. Oh to return, not only to visit but to remain. As I, in my imagination, returned to live in Chicago by regularly visiting Detroit. Simple curiosity, not sufficient for this project, but necessary, a fundamental driver. Who are these people, these refugees, those expelled? Where do they live, what are their conditions, how is their health, how is it affected by their expulsion, what do they remember, how do they feel about their losses, are they embarrassed by their classification as refugees, is their suffering visible, would they like to return and if so would they like to travel with me, how do the generations preserve and propagate their stories, how did they physically move themselves and the few belongings they carried when expelled, what do they think of the Israeli’s, what form would justice take for them?—a plethora of topics to inquire respectfully about. In addition, those homes they lost, their ancestral homelands. Where are they, how do I reach them, can I access them, how do they appear now, can I photograph them, what remains of the buildings, what would those I interview like me to bring back from their homelands or deposit there from where they live now, are the people memorialized or publicly remembered in any way by the Israeli’s, what would Israeli’s I meet say if anything when I visit these sites and tell them why I’m photographing, would they prevent me from photographing if they knew?—another set of curiosities. And a third, my capability to carry this off. Can I effectively show people while talking with them, photographer, interviewer, and audio engineer simultaneously? Will I intrude across cultural barriers if I photograph their home interiors? This black and white-color schema that I’ve adopted, how effective is it? Who can offer useful feedback about it and about the photographs generally? And the home sites, many of them rubble, touching but photographable? Can I show rubble powerfully? Or parks or new Israeli communities built on or near the original sites? Should I use video at any point? How can I be sure what I claim to be homeland is actually homeland? Israel has Hebraized almost all names, Al-Qabu becomes Mevo Beitar. Many of the maps are only in Hebrew. How well will my Google Maps direct me to these sites? Will I run out of money? Can I ask funders to dig deeper? This curiosity in all its manifestations motivated me to begin, now motivates me to continue my project. I read a great deal prior to my first visit in the fall of 2018, assuming the project would require a series of visits. Linda had suggested and I avidly read Erased from Space and Consciousness, by Noga Kadman; Return, a Palestinian Memoir, by Ghada Karmi; Palestine Reborn, by Walid Khalidi; and Palestine Walks, by Raja Shehadeh. I researched while living in Palestine-Israel. I recorded with an audio recorder the interviews, hoping to flesh out my photography later. I carried a laptop with me to the homelands so I could make use of research I’d collected and raise new questions that occurred to me on the road. Home now, preparing for a return next spring, new questions arise, so I do more research. Curiosity spawns curiosity. It never ends. A new documentary aims to decipher some of the anxiety that accompanies the Israeli debate over the events of 1948. ON THE SIDE OF THE ROAD – Short Version from Naretiv Productions on Vimeo. Part 3 of motivations coming soon. I am the one who says to himself: From the smallest things are born the largest thoughts. 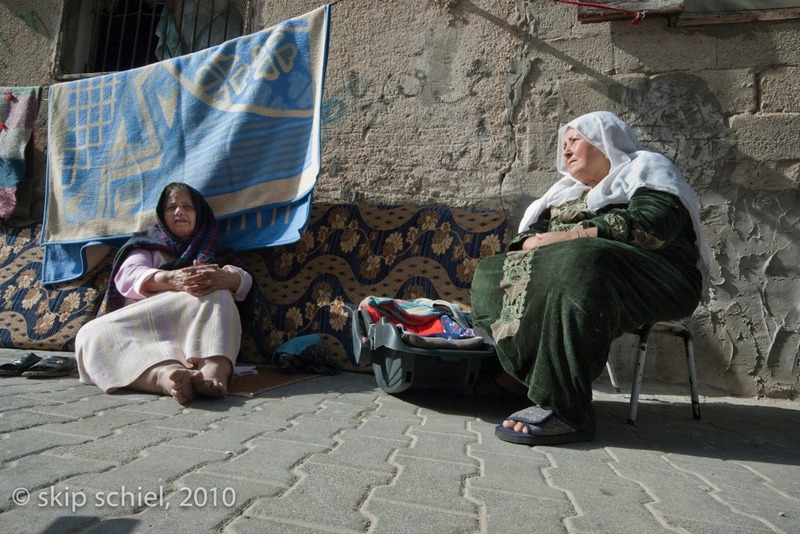 I’ll attempt to list my motivations in order, not of priority, but chronologically as I changed over my 78 years, led (as Quaker say) or dragged (which may be more accurate) to my current photographic project, “On Our Way Home,” about internally displaced (expelled would be more accurate) Palestinian refugees in the West Bank and eventually Gaza. First, my own personal homeland, the Southside of Chicago. As a prelude to this section I’ll describe much revelry one night from my backyard at the end of last summer. A barbecue, possibly by the Somalian family, talking, laughing, the odors of meats wafting thru my small apartment in Cambridge Massachusetts, gave me great pleasure, even if I didn’t personally attend. That they can live here, enjoy a relatively safe and free life, my neighbors. It provokes me to wonder: how many of my Southside Chicago neighbors were recent immigrants when I grew up there in the 1940s and 1950s? Zolly, or Zoltan, for instance, last name Rinkach, possibly East European, possibly fleeing the holocaust? Then the boy from Hungary escaping the Soviets in the early 1950s. Becky Caravassas’ family, from an impoverished Greece? Oh, to return, not only to return to my original neighborhood, my homeland, but to return as it was then and interview people to learn their stories of migration. An explanation about growing up on the Southside: from 1942 to 1955 I lived with my family in an all-White neighborhood near Avalon Park. African-Americans began moving into neighborhoods near ours. My parents worried about violence, feared decaying public education opportunities, and expected falling real estate values; so we moved to an all-White suburb, Arlington Heights, northwest of Chicago. This was curiously the same summer—1955—Rosa Parks helped spark the bus boycott in Montgomery Alabama, oppressed South Africans drafted their Freedom Charter in Soweto which charted their drive to end apartheid, and White extremists murdered Emmett Till (who also lived on the Southside) in Money, Alabama. This was the year our family became, ignobly, the first White family to flee our neighborhood, a decision that excluded me, a life-changing decision that to this moment I regret. Truly 1955 was a momentous year. For several years I returned to my old neighborhood to visit friends I’d grown up with since kindergarten, Tom, Mitch, Ise, Green, Tim, Kruli, Becky, Pat, Sandy, Lynn, and Jack Kosina. None of their families had left. About 8 years later, probably in the early 1960s, on my way from Arlington Heights to the Southside, I needed to transfer commuter rail trains downtown in the Loop. Asking a policeman where to catch the Southside train he said, Southside? I wouldn’t advice it, too dangerous, lots of Black people. That began my expulsion from my homeland—of my own making, from fear. I exiled myself. By my own decision, I could not return to my homeland. In 1982, about twenty years later, thanks to my courageous and sensitive 13 year old daughter, Katy, she said when we were visiting my family in Arlington Heights, dad, I believe you’d like to visit your old neighborhood in Chicago; let’s borrow grandma’s car and drive down together. Which ended my self-imposed exile of some 2 decades. This experience sensitized me to the plight of refugees and immigrants—it began my slowly evolving process. Over the last 25 years wars have raged in Afghanistan, Iraq, and Iran, often USA inspired; Syria exploded; the climate crisis manifests dramatically with droughts, floods, hurricanes, and other environmental disasters; economic conditions in the southern hemisphere deteriorated, often again because of USA policies; and people fled, creating a momentous army of migrants, forced by conditions to abandon homes, livelihoods, families, and ancestral regions, overwhelming countries like Norway and Sweden which had historically welcomed refugees and immigrants. Nearly all countries have invoked harsher measures to block newcomers seeking refuge. 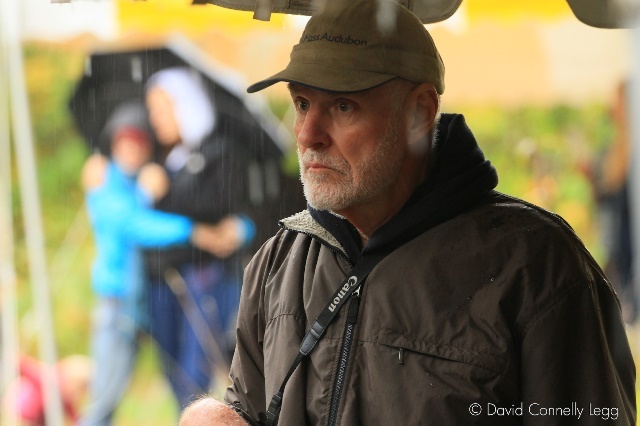 I viewed the black and white images of the brilliant Brazilian photographer Sebastião Salgado and his Human Migration Project, moved deeply by the suffering of these human beings forced to flee desperate conditions. Several years ago the UN High Commission on Refugees (UNHCR), as part of their fundraising campaign, mailed me a photograph made in 2014 by the Italian photographer, Massimo Sestini. From above it shows a boatload of some 200 people, different colors, different stories, all smiling and waving, hoping, praying. I hang this photograph over my kitchen door to remind me and guests of this phenomenon, this crucial and expanding need. In late spring 2017, Ana, threatened with deportation, fled her home near Boston, fearing for her life if our country deported her back to her homeland, Ecuador. She is now in sanctuary in a Cambridge church where I volunteer for protective duty, part of a coalition of Christian and Jewish communities in Cambridge. I face her regularly; I am a tiny part of her survival. She is a refugee, like those sung about by Woody Guthrie in his majestic song, “Deportee.” She embodies the issue. Now [December 12, 2018] the death toll is nearly 200 and still climbing. In late march 2018, hundreds of mostly young Palestinians in Gaza began a weekly series of nonviolent marches to the fence between Gaza and Israel. They named it the Great March of Return, calling for return to their homelands, many within a few miles of Gaza. 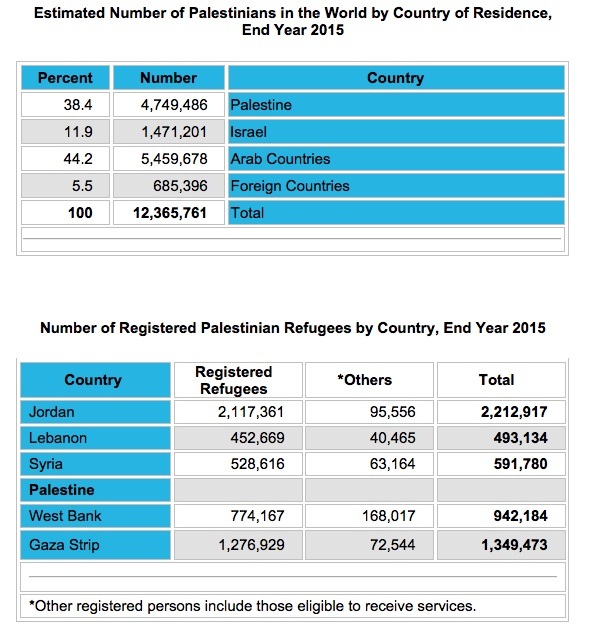 Refugees in Gaza make up some 80% of the two million population. 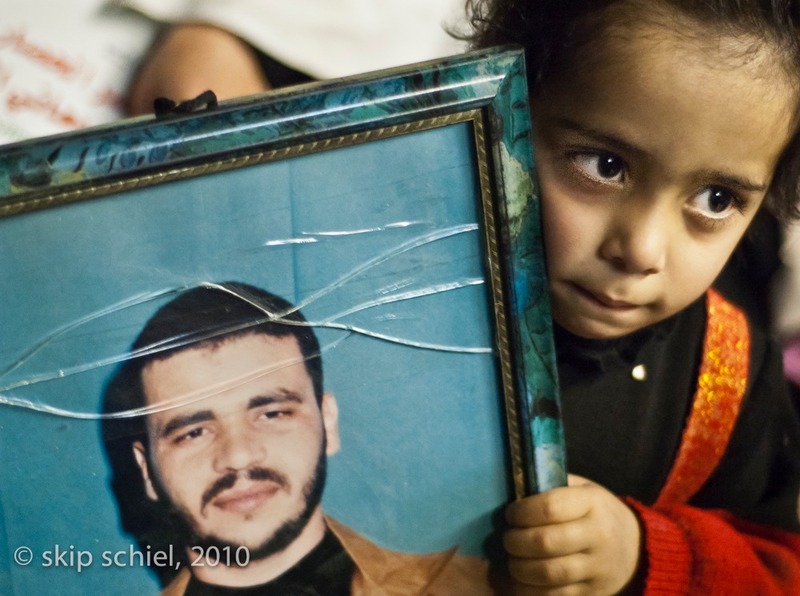 From the beginning of the march Israeli army snipers wounded and killed Palestinians. 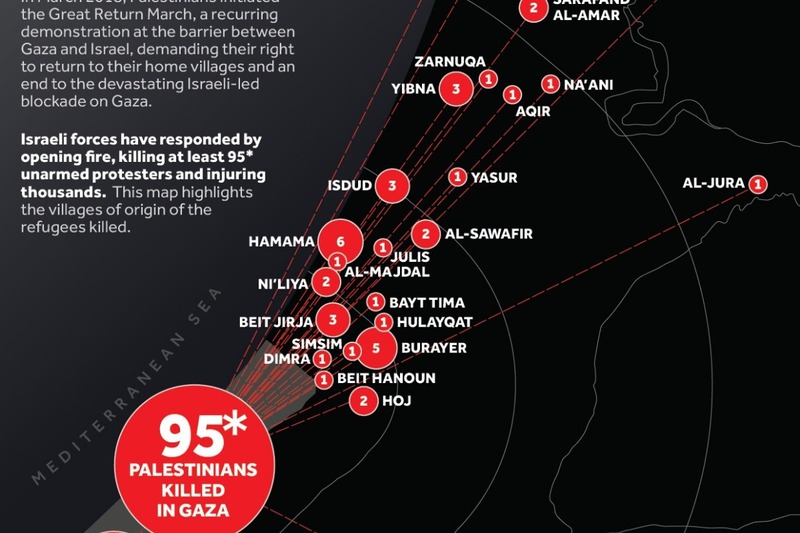 [As of December 12, 2018] according to Al Mezan Center for Human Rights, 194 Palestinians have been killed in the Gaza Strip since March 30. Later some Palestinians used violent tactics such as flying incendiary kites and balloons into Israel. As of this writing these homemade weapons have destroyed some 1,200 hectares (nearly 3,000 acres) of Israeli farms and forests, more than half of the forested land in the region. 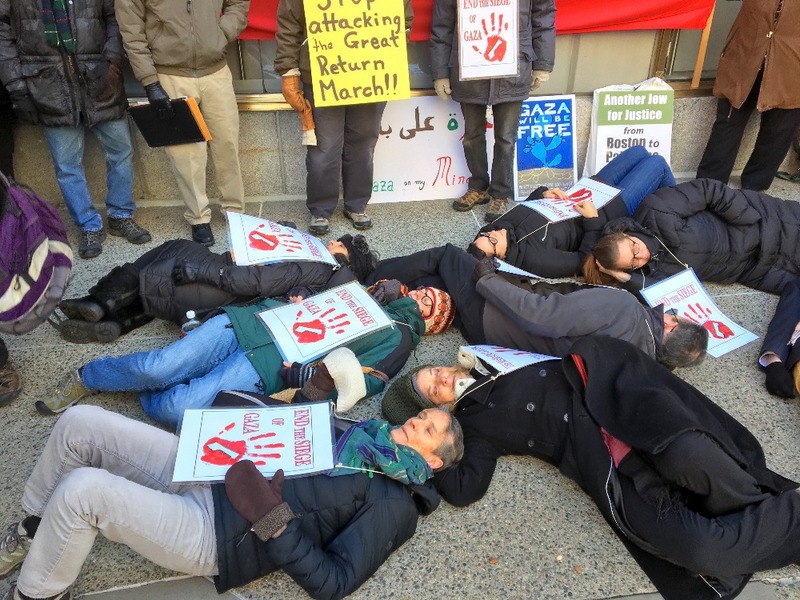 Perhaps Hamas, classified by some as a terrorist organization while in fact they are the legally and openly elected government, contributed to this series of protests by providing tents and transport, maybe also inspiration to use violent tactics. Regardless of how precisely the protests were directed, many Palestinians continue to suffer under massive oppression, sanctified by my government. I was distraught. I’ve been in Gaza 6 times since 2004, photographing programs of the American Friends Service Committee (AFSC), photographing conditions there generally, and publishing a book called Eyewitness Gaza. I have many friends with whom I continually communicate like Amahl, Ibrahem, Ban, Montaser, and Mustafa, and I’ve broadened my view by regularly meeting Israelis living within rocket range of Gaza, Nomika, Yeela, and Eric. 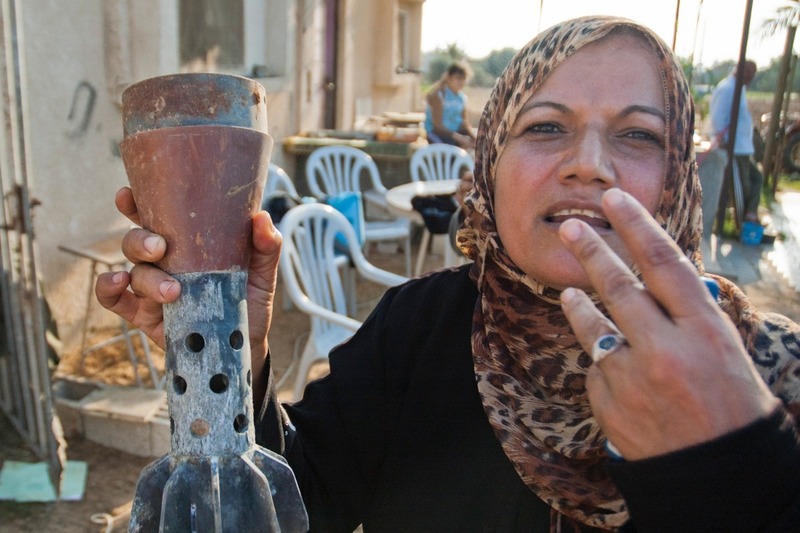 These Israelis suffer attacks from the homemade rockets and mortars crudely aimed but often hitting civilian areas. I’ve made a movie called Gaza’s Israeli Neighbors: Other Voice which features a small group of courageous Israelis who call for their country to negotiate rather than bomb and invade. I try to show some of the consequences of the ongoing, seemingly unquenchable anger and violence, such as the high rate of PTSD suffered by neighboring Israelis —they call this the “Invisible Illness. 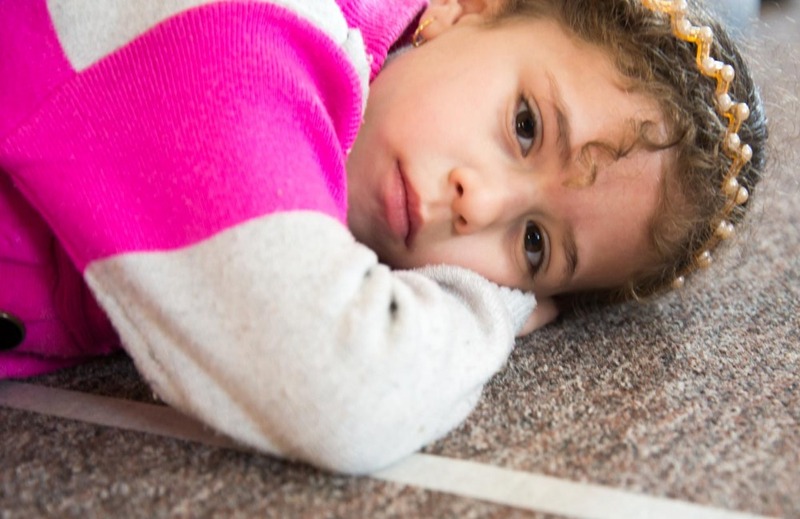 Estimates claim between one-third and two-thirds of children in the city of Sderot suffer PTSD. In Gaza I am convinced the proportion is much higher. Are any of the protesters in Gaza my former students, friends, colleagues, or families of those people? What about the young family of Ban and Islam? Thru my teaching I helped the parents meet each other. Or Ibrahem and his new family, Ibrahem once bemoaning to me the pain of still being single while in his 30s. Or Marwan crafting the publicity for the Gaza Community Mental Health Program, who is reliably in touch with me? In the fall of 2018 he offered to help host me on my recent attempt to enter Gaza for my refugee project. This is personal. Regardless of the exact methodology and leadership of the Great March of Return I realized in March I could leap over that fence—as a photographer, a proxy Palestinian—with my international, White, American privilege to return to those homelands many in Gaza were ejected from since 1948. 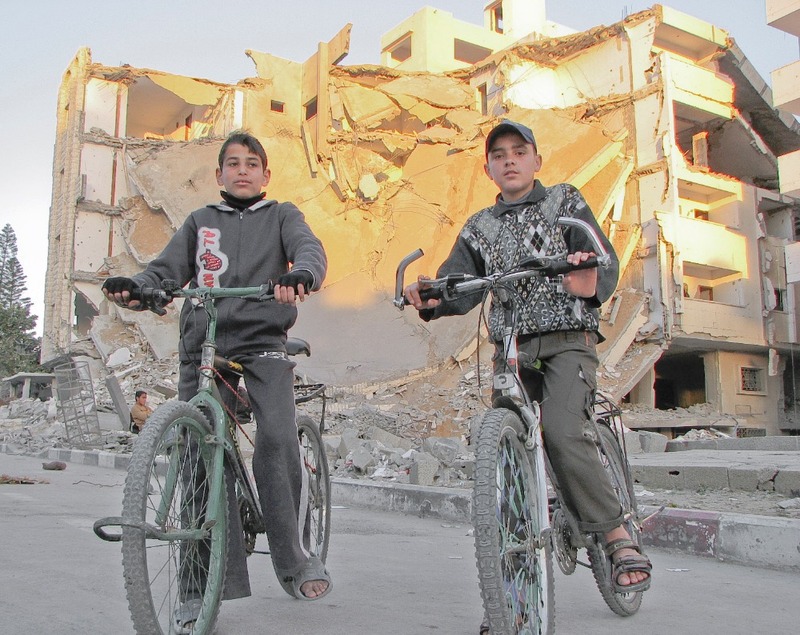 After interviewing and photographing refugees in Gaza I could then photograph their homelands, later return to Gaza with an exhibit, and eventually broadcast my findings to a wider audience. I would use the photosphere to help argue for their right of return, as verified by numerous UN resolutions.